SEO (Search engine optimization) is basically the practice of improving website visibility in a search engine’s natural or organic search results. The target here is to optimize your website ranking on major search engines such as Google, Yahoo, Bing, etc., so that your website’s Google ranking goes up making it appear on the first page. This will consequently result into more visitors and high conversion. There are a number of SEO aspects that you can use to rank high on search engines. From the words you use on your web page to the way you link your website to other sites, you can structure your website in a search engine friendly manner. 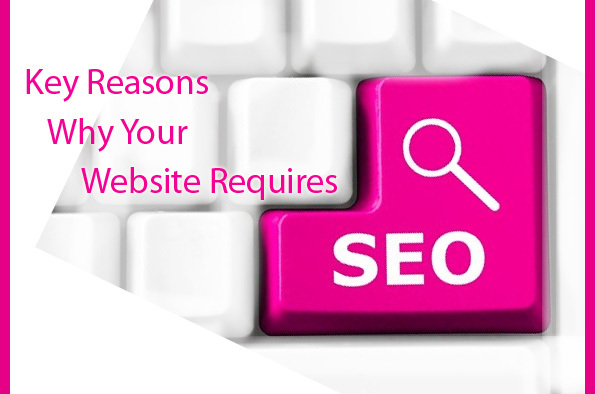 So let me tell you why you should optimize your website for search engines. First and foremost, the matter of the fact is that the majority of web traffic is driven by the major commercial search engines such as Google, Bing and Yahoo. The main reason is that even though social media and other types of traffic can generate visits to your website, search engines are still the primary mode of navigation for most internet users. Search engines are like a roadway that leads to what people look for. They provide targeted traffic based on what people are looking for. You may miss out several opportunities available to websites provided by the search if your website is not search engine friendly or if your website doesn’t exist in search engine’s database. It is very important to focus on search queries (The words and phrases users type in the search box to find particular information). Discover these terms and phrases (keywords) as they help you to attract the most relevant traffic taking you one step closer to high Google rank. Last but not the least; the most important thing is to hire a SEO expert to improve your website ranking. Although this can be done to your existing website, it is advised to get SEO services while you are re-designing or creating a new website to launch, so that you and your SEO expert knows exactly how the design should look and which content to use for optimization to ensure high Google ranking. Despite the fact that search engines are constantly upgrading their technology to return better results they still need help. The right SEO can net you with thousands of visitors and ultimately boost your website ranking, whereas the faulty SEO can bury your website so deep and decreases your website visibility on search engines. It can cause your website ranking to fall badly. Therefore, take some time to make the right decision on hiring a professional and expert SEO specialist to ensure your Google ranking is high and is maintained that way.